Considered to be one of the most beautiful Camino routes, the Camino del Norte or la Ruta de la Costa (Northern or Coastal Way) begins on the boarder of Spain and France in the Basque town of Irun. It runs through the cities of San Sebastian/Donostia, Bilbao, Santander, and Gijon. Eventually joining up with the Camino Frances in Arzua, just before Santiago. The way stretches across Spain for more than 800km, depending on the exact routes you walk, and often features mountains and rolling hills on one side and the ocean on the other. At just over the halfway point of this route there is an option to take an alternative path to Santiago, which many pilgrims choose to do, by heading inland at the town of Villaviciosa. There you can join up with the Camino Primitivo, also known as The Original Way. There are far less pilgrims walking along the Camino del Norte (with the majority still choosing to walk the Camino Frances) so you can expect a less crowded path and a more peaceful walk. It is important to note though that as of 2014 the number of pilgrims choosing to walk this route has increased because of the popularity of the Camino Frances. As with other Camino Routes there are a variety of cities, towns and villages to explore, as well as many forested and open areas to walk through. The BIG difference in scenery on the Northern route? The coastline and mountains on either side of you as you walk! This not only gives you some amazing views but also offers you a chance to go swimming in the warmer months. There is also some great local cider to try on this route too. The albergues (pilgrim hostels) and other facilities improve when you get to the region of Galicia. The path may also become less populated as pilgrims split off to join the Primitivo route while others continue on the Camino del Norte. 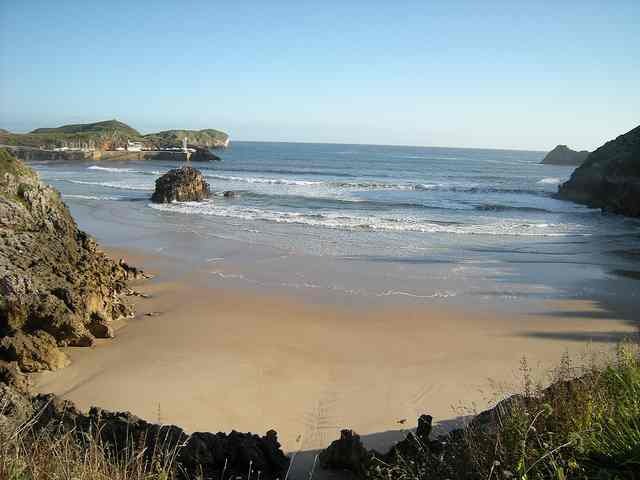 There are simply not as many facilities on the Camino del Norte compared to the Camino Frances. During the summer months accommodation in the albergues can be full, not only because of the rising number of pilgrims on this route, but because of the relatively low number of albergues and there smaller sizes (often 25 or fewer beds). It's also important to note that, in popular destinations and near popular beaches, other types of accommodation during the summer can be hard to get as many people head to the coast for the holidays (June and July). The distances between albergues can sometimes be long, up to 30km in some parts. This of course means that the walking stages can be a lot longer too, unless you choose to sleep outside or take public transport to the next place with accommodation. 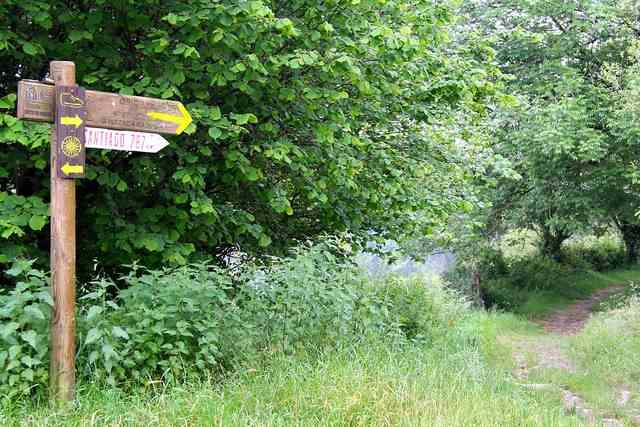 Although the route is generally well marked (especially in Galicia) some places remain confusing and not well signposted. A good guide book or map can really help, as well as getting some tips from other pilgrims who have recently walked this route (see the resource section at the end of the page). Unpredictable. Hot one day, raining the next. Because of the routes location along the coast it can rain for days anytime of the year. There are positives and negatives to walking anytime of the year, but the warmer months of June, July, August and September are generally considered the best times to walk the del Norte. The coastal weather is usually not as hot as inland routes, but as previously mentioned, there is always a chance of some rain along the coast no matter what time of year it is. Be prepared for all weather conditions. Stages on the Camino del Norte vary from natural and steep paths that climb up and down hills over the course of the day, to flat stretches on paved roads as you enter and exit a town or city. 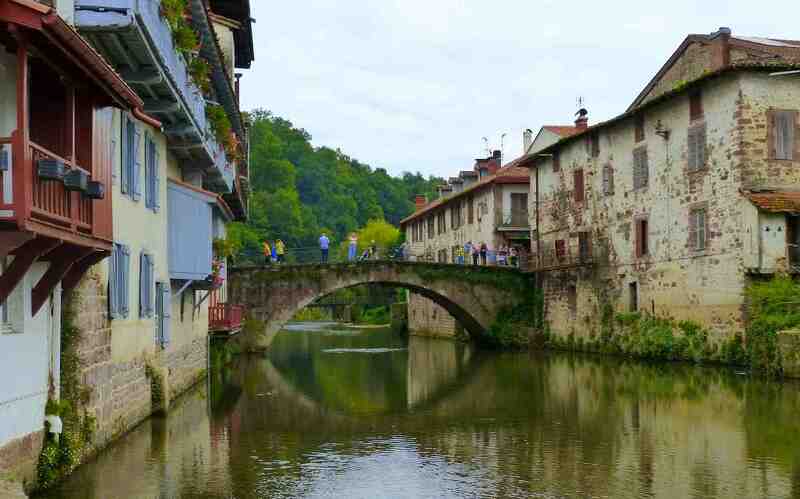 There is more variety with the paths and scenery from day to day, compared with the Camino Frances, but it is also considered a tougher walk as well (especially if the weather is wet). • A good guide book can advise you on the best locations, points of interest, where the next albergues are, and direct you to the path that goes along a beautiful beach instead of the one that follows the side of a main road! Because of the del Nortes poor markings in some places, a good guide book or map is recommended. • Be prepared for all weather conditions. Temperatures can be hot during the summer, but it can also turn cold and rain for days at a time. • The route can sometimes go through remote parts of the countryside, especially if you choose to walk along the Camino Primitivo, so be prepared with plenty of water and some food for those days. • The Northern Caminos - The latest guidebook for the Northern Routes. 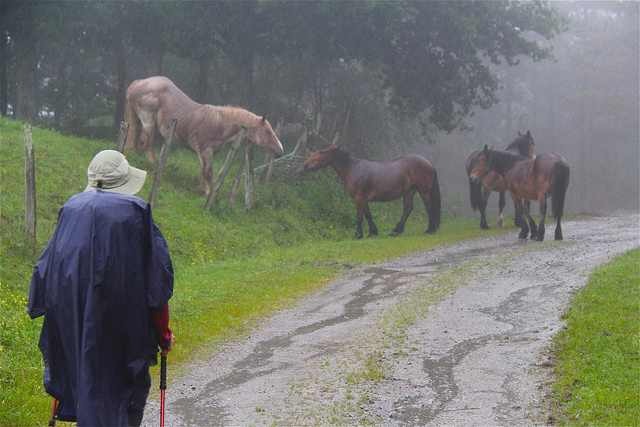 • My Impressions - This is a great post by a pilgrim in the camino forums from July 2014 about his experience along the Camino del Norte and Camino Primitivo routes. 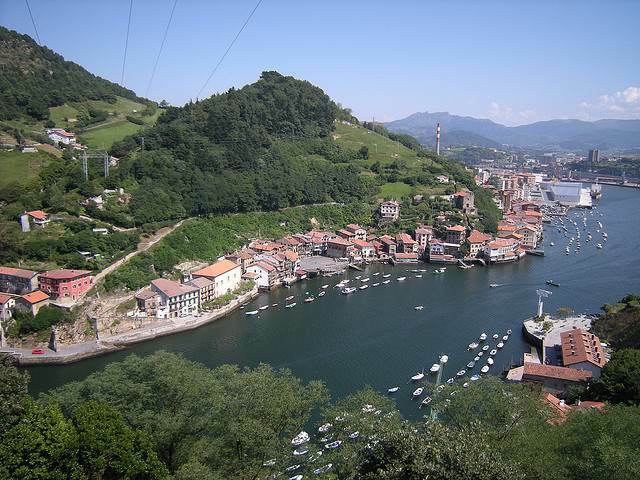 • Stages and pictures of the Camino del Norte. • Stages and pictures of the Camino Primitivo. A map also shows where this route begins along the Camino del Norte. Images, with credits on this page, are used under Creative Commons Attribution 2.0 licenses.